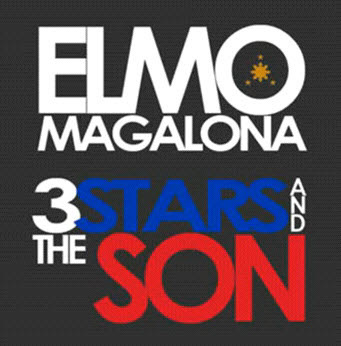 Catch here Elmo Magalona's latest song "3 Stars and the Son" featuring Kris Lawrence, Jay-R and Billy Crawford. Sounds like...mmmm...Jenny From the Block. Don't you think so? The U23 Azkals fought back from a goal down, scored twice and won their first points of the 26th SEA Games in Jakarta Friday. Substitute Joshua Beloya struck twice inside the final four minutes as the Philippines kept its flickering semifinal hopes alive after a pulsating 3-2 win over Laos Friday night at the Lebak Bulus Stadium in Jakarta. The Bacolod-based Beloya, who grew up in Switzerland, scored on a tap-in in the 90th minute before completing the fightback with a clinical finish three minutes into injury time as the Under-23 Azkals registered their first victory of the tournament after back-to-back losses. With the victory, the Azkals still have an outside chance of making the semifinals with three points, although they would need to beat Myanmar and Brunei in their remaining matches and hope that a confluence of events like Vietnam losing to Brunei and Myanmar and Timor Leste play to a draw to advance to the medal round. The Azkals also hope that Laos beats Timor Leste. 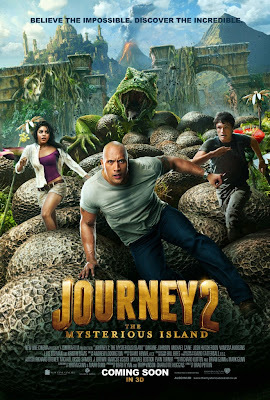 Warner Bros. jumpstarts the buzz for �Journey 2: The Mysterious Island� as it launches the film�s poster and trailer. In this follow-up to the 2008 worldwide hit �Journey to the Center of the Earth,� the new 3D family adventure �Journey 2: The Mysterious Island� begins when young Sean Anderson (Josh Hutcherson, reprising his role from the first film) receives a coded distress signal from a mysterious island where no island should exist. It�s a place of strange life forms, mountains of gold, deadly volcanoes, and more than one astonishing secret. Unable to stop him from going, Sean�s new stepfather, Hank (Dwayne Johnson), joins the quest. Together with a helicopter pilot (Luis Guzman) and his beautiful, strong-willed daughter (Vanessa Hudgens), they set out to find the island, rescue its lone inhabitant and escape before seismic shockwaves force the island under the sea and bury its treasures forever. �Journey 2: The Mysterious Island� also stars Michael Caine as Sean�s grandfather, Alexander Anderson, and Kristin Davis as Sean�s mom, Liz Anderson. 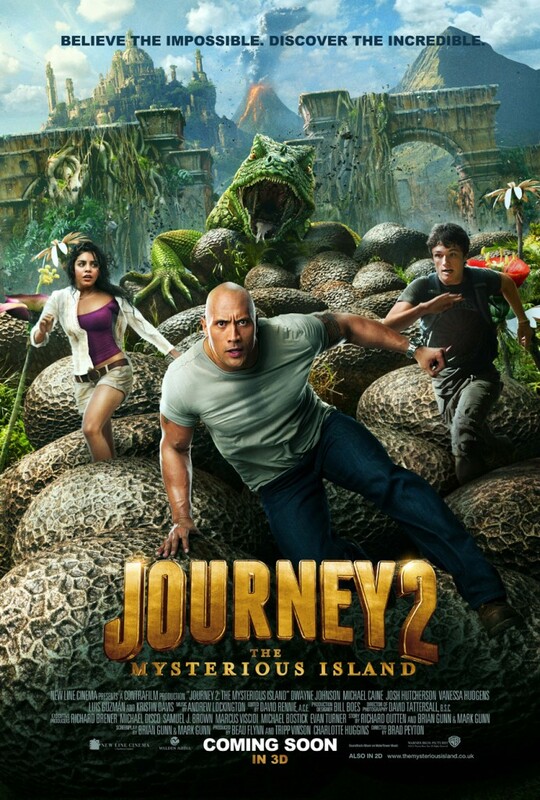 Opening in theatres beginning January 2012, �Journey 2: The Mysterious Island� is a New Line Cinema presentation, will be distributed by Warner Bros. Pictures, a Warner Bros. Entertainment Company. Papa Chen of My Binondo Girl becomes Twitter trending topic. While �JaNdy� (Jade-Andy) fans continue to celebrate the budding relationship of Kim Chiu and Xian Lim in ABS-CBN�s top-rating Primetime Bida drama series �My Binondo Girl,� Jolo Revilla�s character, Onyx, meanwhile, is tending his broken heart. Will Onyx finally give up her love for Jade (Kim)? Or will he be more challenged to win Jade�s heart? 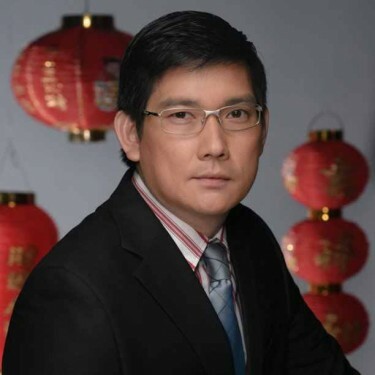 Meanwhile, �Papa Chen� became a worldwide trending topic last Wednesday (November 9) as Richard Yap�s (Papa Chen) scene with Maja Salvador (Amber), Cherry Pie (Jean Sy), and Laureen Uy (Amethyst) became the talk of the town in the popular microblogging site Twitter. Don�t miss the latest adventures of Xian�s character, Andy, in �My Binondo Girl,� weeknights, after �Budoy� on ABS-CBN. For more updates, log on to www.mybinondogirl.abs-cbn.com or follow @my_binondogirl on Twitter and like www.facebook.com/abs.mybinondogirl. Bonifacio Global City (BGC) fuels anew the passion for running with its �Run BGC 2011: A Level Higher� on November 27, 2011. Taking it a notch higher is the integration of Flag Football in the race. Known as the home of passionate minds, BGC is also recognized as the �Run Capital� of the country. It is the most preferred venue of running enthusiasts and those who embrace an active lifestyle. Run BGC 2011 in celebration of Bonifacio Day marks its 3rd year. Run BGC embodies the power of a passion fulfilled. BGC believes that runners� key capacities such as the willpower to push even farther, the ability to apply effort even during fatigue, and the acceptance of pain � have radiating power that subtly influences attitudes in life. The passions within us can take us to places, allow us to achieve beyond expectations, bring new experiences and lead us to living happier, healthier lives. 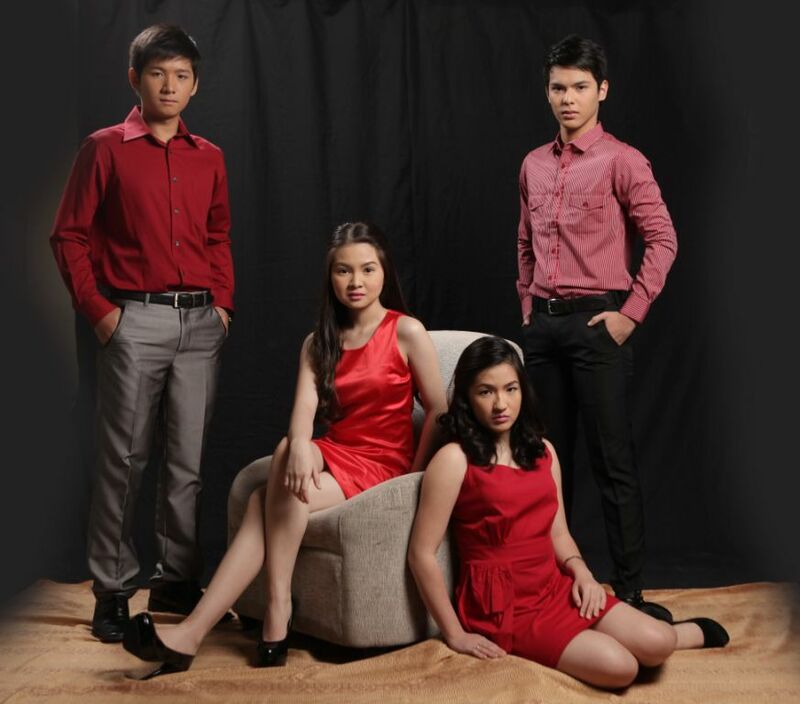 That�s the power of passion that Bonifacio Global City believes in. In this year�s BGC�s very own marathon, participants can choose from 5 race categories, namely: 3km, 3km with flag football, 5km, 5km with flag football, and 10km. Making this year�s Run BGC a level higher is the category of Flag Football. Apart from the straight run race, this category starts with a run, then moves to an individual play of catching a football while defending flags and shifts back to a run to the finish line. Basically, the runner gets into the football zone within the 3km and 5km stretch to catch the ball and defend his flags. Once inside the football zone, the runner gets fitted with a flagbelt and is cued up in designated lane. A quarterback then gives the runner the go signal to sprint to the 5-yard marker. The runner should then quickly turn back to catch the ball from the quarterback and should do so while defending the flags fastened to him/her from the defenders. The runner should have both the ball and flags before sprinting to the end zone. Upon reaching the football�s end zone, he then sprints back to the starting area with his flags and football to finish the course where marshals await runners for sendoff to continue his race to the finish. All runners who have completely registered and finished the race in any distance categories are entitled to join the raffle. Grand prize at stake is a trip for two to Australia on a 4days-3nights tour package any time within 2012. The winner can also join any of the Australian-based marathon or fun run: The Sydney City to Surf 2012; Gold Coast Airport Marathon & Half Marathon; or The Great Ocean Road International Marathon. Prize is convertible to cash but non-transferrable. Cash prizes and medals also await the first three placers of each race category. Like in previous Run BGC events, sponsors will be setting up booths for their own activities such as product sampling, sale, and fun games. Powered by today�s most-sought running mentor and race director Coach Rio, Run BGC is also made possible with the support of RunRio, Runnr, Sportsmedia, BLFC, Planet Sports, The Athlete�s Foot, Toby�s Sports, Powerade, Viva Mineral Water, Soleus and Hero Channel. BGC�s passion springs from the welfare of the people it lends its service to such that Run BGC participants are assured of their safety during the event. Security and race escorts will be present. Drinking water and Medical aid will be provided along the race routes. Comfort cubicles will also be in placed. Further assisting the participants to secure their things, a baggage deposit service will also be made available from 4:30am to 9:00am near the stage. Registration is ongoing until November 20 at Toby�s/Runnr (Level 1 Shangri-La Plaza; Bldg. B3 Bonifacio High Street; G/F SM Mall of Asia), Planet Sports (2/F Trinoma Mall; 2/F Glorietta3), and at The Athlete�s Foot (3/F Robinson�s Galleria; 2/F Alabang Town Center). 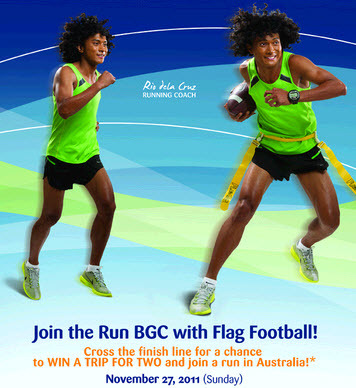 Log on to www.bgc.com.ph and www.runrio.com for more details. Witness how two people can go from being best friends to bitter rivals as Ikaw Lang Ang Mamahalin, GMA-7�s afternoon drama, continues this week. Despite growing up together, a tragedy forced cousins Katherine (Barbie Forteza) and Clarissa (Joyce Ching) to lead separate lives and assume different identities. Katherine � with no memory of who she was � now works as a helper in the Fuentebella mansion. Clarissa, on the other hand, continues to take advantage of the situation by posing as Katherine. On Monday, Clarissa is consumed by jealousy when Charles (Joshua Dionisio) keeps showering Katherine with attention at a party. To get even, Clarissa plots to humiliate Katherine unaware that her plans will eventually backfire. Meanwhile, on Tuesday, Ferdinand (Gardo Versoza) forces Katherine and Clarissa to stay in one room � hoping to appease the rivalry between the two. Clarissa, meanwhile, remains at odds with Jepoy (Kristoffer Martin), who still feels as though his best friend is committing a huge mistake for faking her identity. When will the truth about Clarissa�s real identity be revealed? Will jealousy and greed continue to get the best of her? Will Katherine�s memory even return, or will she remain as the submissive servant that she is now? Follow the many twists and turns in Ikaw Lang Ang Mamahalin weekdays after Kokak on GMA Afternoon Prime. The provisional winners (first count) of the global winners in the New7Wonders of Nature has been announced by Bernard Weber, Founder-President of New7Wonders, at the headquarters of the New7Wonders Foundation in Zurich, Switzerland. The provisional results are based on the first count of votes completed since voting ended at November 11, 11:11 a.m. (GMT). The results will now be checked, validated and independently verified. Once the voting validation process is completed, in early 2012, New7Wonders will then work with the confirmed winners to organize the Official Inauguration events. KC Concepcion performed �Together We Will Shine� with Indonesian actress-singer Agnes Mojica and Malaysian belter Jaclyn Victor at the opening ceremonies of the 26th Southeast Asian Games (SEAG) yesterday, November 11. Anne Curtis posted several tweets last night, November 10, that put GMA-7 staff and artists in a bad light. According to the Kapamilya actress, she was about to perform at the kick-off party of the annual USTV Awards of University of Sto. Tomas, when some of the GMA-7 staff prevented her from even stepping on the stage. Text by Madlang Thomasians!!! I'm heeeerrre! Will be performing for you guys LIVE at the USTV Kickoff party!!" Maloloka kayo as kakantihin ko. Dream ko ma-complete ang song na to LIVE and finally I'll do it tonight! Super nervous!!!!" Thomasians, I'm sorry I had to leave na. I tried to at least get up on stage and say hi kahit 2 minutes lang but GMA staff didn't want. Thomasians, I was there on the left side of the stage & told them kahit d na ako kumanta babati Lang ng Hi and Hello but GMA Staff said no"
Wag kayo magalit sa GMA peeps.. And just to clear it....They didn't said bawal ako kumanta ever.. They just didn't want na mauuna ako sa Artists nila.. It's just sad that i was already about to get on stage, as in by the stairs na. Kasi nauna ako dun before the GMA Artists were there tapos pinigilan nila..
think I explained it the best way that I can. Sorry again Thomasians! Hope you all know I really wanted to get up on stage & SING! Hahaha! I really had to leave na kasi... Hope you all still appreciate the effort I made to go to the campus and I even prepared a song." First time to sing it live and full song dapat! Haha. Oh well, maybe next year! It was nice seeing you guys kahit saglit!" I guess what I learned from tonight is to humbly take a deep breath, give way and say BYE :)"
Anyway moving on. Off to rest my voice for my special guesting at Side A and Martin Nievera's concert at the Smart Araneta! Nervous!!!!" Ayon sa source, hindi raw totoo ang sinabi ni Anne na nauna siyang dumating sa lugar. Karamihan sa mga Kapuso artists daw ay alas-singko pa ng hapon, nandoon na sa venue. Ayon pa sa source, alas-otso ng gabi dumating si Anne. Hindi lang daw naisalang kaagad ang mga Kapuso artists dahil may ibang artists na naisingit. Kaya naurong nang naurong daw ang pag-akyat sa stage ng ilang Kapuso stars. Nagmamadali raw si Anne dahil may rehearsal pa siya para sa concert ni Martin Nievera at ng Side A na gaganapin sa Araneta Coliseum. Ayon sa source, totoo ang sinabi ni Anne na nakiusap siya sa staff ng GMA-7 na paakyatin na siya ng stage, kahit para bumati na lang at hindi na siya kakanta. Pero ipinaliwanag naman daw ng GMA-7 staff kay Anne na marami nang Kapuso stars na nauna sa kanya ang naghihintay na umakyat sa stage. Pero dahil nagmamadali nga, nagdesisyon si Anne mismo na umalis na para makaabot sa kanyang rehearsal." Read some articles & whoever the source was, got some details wrong. So I'd like to explain. Firstly, if you read my twitter timeline I didn't arrive late at 8pm. I was asked by UST people to be there between 7-7:30 and they had told my Road Manager as soon as I get there it would be my turn.. If you want an exact time I was there at 7:10 according to driver. O diba? Join din ang driver ko sa drama. Haha. No, but seriously, they told me naman since TV5 people were performing already they opted to put me after TV5 artists & before the GMA artists. So I waited in the the standby room and waited for them to call me. Secondly, what I meant when I said nauna ako sa GMA Artists dun was that the USTv staff called me to go on stage coz it was my turn. When I got backstage pababa na ung Artists of TV5 and I didn't see anyone from GMA except the lady representing GMA. She was the one I saw complaining to the USTv staff. So to avoid it being a mess I told her that I won't sing na lang, babati na lang ako ng Hi and Hello. 2minutes lang. She DID NOT explain anything to me. I didn't even quite get what she tried to say coz she said this while turning around me. So ang hirap intindihan kung d ka din sinabihan ng maayos diba? But to clear it NOONE from the GMA staff explained anything to me as it was said in the article. Lastly, I went to UST in good faith coz I was invited not to represent abs or be part of any network war but to go and perform for the Thomasians bilang it was through them I got my Best Actress award for Dyosa a couple of years back. It was a way of saying thank you to them. Hindi para makipagagawan ng stage time or to compete with anyone. The only reason why I tweeted last night was because pinalabas na ako ng USTv staff to perform so nakita na ako, mas nakakagulat if bigla naman ako nawala. Its only proper I explain to them what the reason was why I left. I owe that to the Thomasians who tweeted & were waiting for me. To clear it, I'm not dissing the network or the artists of GMA. As I said in my tweet don't get mad at the GMA staff they probably had their own reasons. But if I was called by the staff of USTv and was already at the side of stage waiting to be called maybe they/she could've taken that into consideration also." KC Concepcion is currently in Palembang, Indonesia to perform at the opening ceremonies of the 26th Southeast Asian Games (SEAG) today, November 11, 8 p.m. (Manila time) which will be aired live on Studio 23. In her official Twitter account (@kc-concepcion), KC said she arrived in Indonesia on Wednesday to prepare for her performance of �Together We Will Shine� with Indonesian actress-singer Agnes Mojica and Malaysian belter Jakclyn Victor. �Hi guys! 4 planes, 2 sunrises,1 sunset & 27 hours later... I am now officially a CLOUD IMMIGRANT! :) For now? Touchdown: Palembang, Sumatra!� she tweeted. 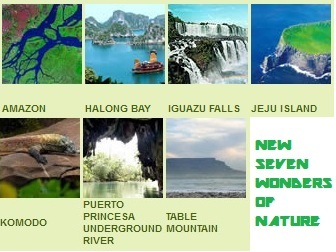 The Puerto Princesa Underground River in Palawan is about to be included in the �New 7 Wonders of the World� with just few hours left (exactly 5 hours, 3 minutes as of this posting) for people to cast their votes. Aside from the unified campaign of Filipinos around the world, the Puerto Princesa Underground River deserves one of the 7 spots because of its spectacular subterranean river and mountain landscape that captivated 450,000 local and foreign tourists last year. 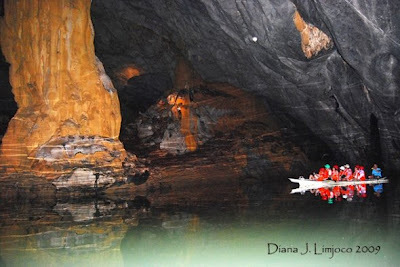 It is recognized as the longest navigable underground river in the world spanning 8.2 kilometers and winds through a cave with rich mineral deposits such as stalactites and stalagmites. The title is expected to attract more tourists to Palawan, thus boosting the country�s tourism industry. Because it takes more than words to make a stand, be one with the crusade and vote for the Puerto Princesa Underground River. Go to http://www.new7wonders.com/vote-2 or text PPUR to 2861. Voters have until 11:11 a.m. on November 11, 2011 (11.11.11) to vote for PPUR, the Philippines� official entry to the New 7 Wonders of Nature global poll which is being contested by 28 countries.